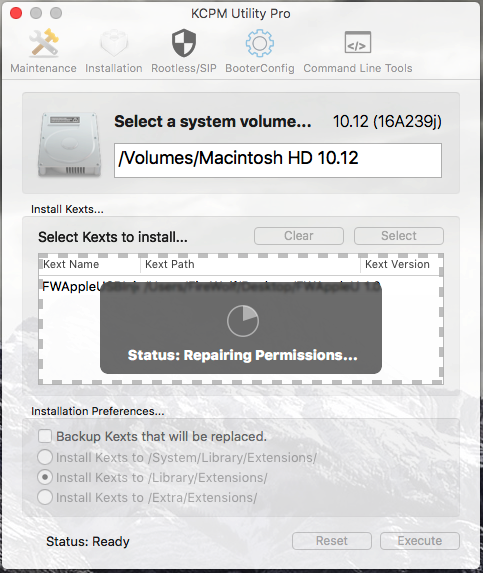 KCPM Utility Pro V6 – Brand new Kexts EZInstaller, macOS High Sierra Supported, Repairing Permissions, Configuring Rootless and more | FireWolf Pl. KCPM Utility Pro 6 currently supports English and Simplified Chinese. 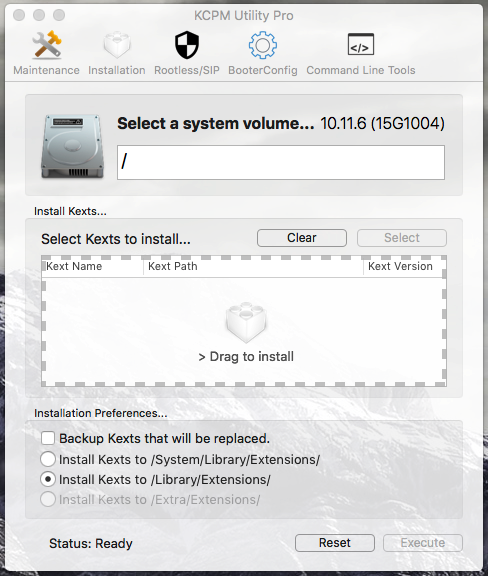 KCPM Utility Pro 6 registers “.kext” as supported file types, so now you can simply double click one or more kernel extensions to perform installation immediately. Without specifying the destination folder, KCPM Utility Pro 6 is now able to detect selected kernel extensions automatically and install them to corresponding folder. Instead of installing all selected kernel extensions to one folder, KCPM Utility Pro 6 now supports specifying the destination folder for each kernel extension! Annoyed by a spinning circle? Thanks to the new FWRepairPermissions API, KCPM Utility Pro 6 now shows the real time progress of repairing permissions. “Permissions have been repaired.” Forget about the old-style alert. KCPM Utility Pro 6 will show a detailed report of kexts installation and system maintenance. You can now easily see which files are naughty and do not have correct attributes. “KCPM Utility Pro is not responding.” “A beachball is spinning.” Those will no longer happen. Everything in KCPM Utility Pro is designed for multithreading. New APIs in KCPM Utility Pro 6 will make full use of all the available resources and work for you as quickly as they can. “An unkown error occured.” That’s disappointing and frustrating. The enhanced error handling mechanism in KCPM Utility Pro 6 makes sure that all errors will be reported. Click2Install Default Mode, Click2Install Custom Mode, Click2Install Smart Mode are powered by KCPM Utility Pro EZInstaller in /Applications/KCPM Utility Pro.app/Contents/Bundles/. All settings related to Click2Install mode can be configured via opening KCPM Utility Pro EZInstaller. Please first read the FAQ section before using the comment section to ask questions. Q1. What’s the difference between the default installation mode and the Click2Install mode. A1. Here’s a table showing functions of each installation mode. Q2. I cannot save my new SIP value via NVRAM in KCPM Utility Pro 6. Why? A2. Due to Apple’s security policy, KCPM Utility Pro 6 no longer supports modifying Rootless settings via NVRAM. You can modify your Rootless configurations in Recovery Boot mode or by using KCPM Utility PE 6 in FireWolf OS X PE (currently not available). Q3. An alert saying that KCPM Utility Pro failed to authenticate with the operating system. A3. KCPM Utility Pro 6 requires your authentication to perform kexts installation and system maintenance. You need to type your password when prompted. Q4. An alert saying that KCPM Utility Pro cannot connect to the helper after I typed my password. A4. Quit KCPM Utility Pro, run KCPMP5Remover and restart KCPM Utility Pro. Instead of running KCPMP5Remover, you can try to manually do the following things and restart KCPM Utility Pro. Kill the process named science.firewolf.kcpmp.helper via terminal or Activity Monitor.app. Q5. An alert saying that KCPM Utility Pro cannot connect to the helper when I am trying to repair permissions. A5. This may be related to a bug. Open the console and check whether there is a crash report for science.firewolf.kcpmp.helper. Report this issue with the crash report. Thank you. Q6. An alert saying that Failed to apply the new booter settings via NVRAM. A6. Applying booter configurations via NVRAM requires that NVRAM is supported on your computer. Q7. Apply via Bootloader button is greyed out. A7. 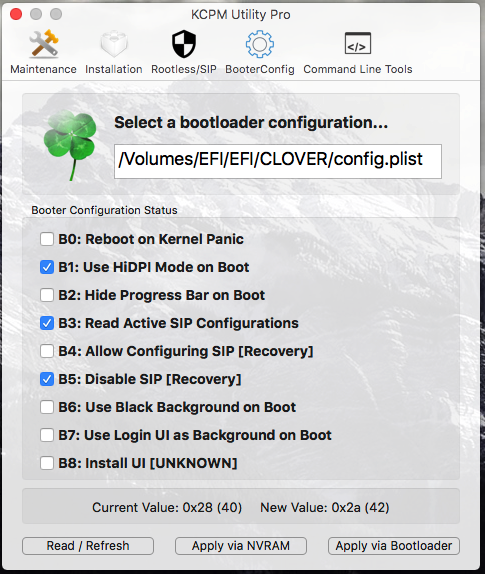 You must select a supported bootloader configuration before applying settings via bootloader configurations. Currently KCPM Utility Pro supports Chameleon and Clover. Add preliminary support for the latest macOS High Sierra. Integrated with the latest libRepairPermissions APIs. Integrated with new XPC Kits to improve the stability of helpers. 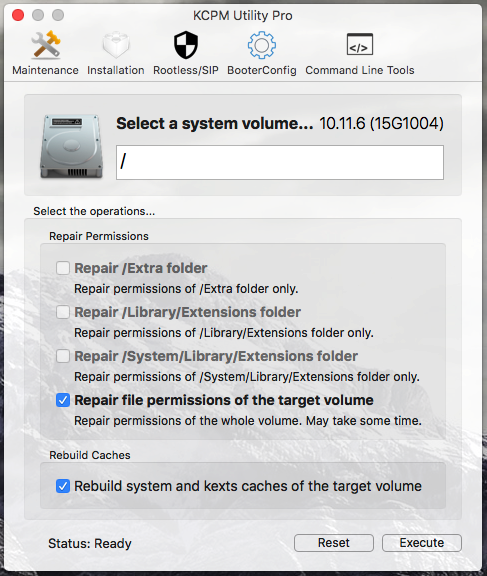 Fix a rare issue that the RepairPermissions binary cannot be installed or upgraded. Update the internal smart table rules to support new kernel extensions. Fix a rare issue that some kernel extensions are not installed under the smart installation mode. Address an issue that front-end clients consume too many CPU resources. Resolve an issue that may lead the program to inconsistent states. Add some event handlers in KCPM Utility Pro EZInstaller to deal with helper errors. Improve compatibility with macOS Sierra 10.12.1 and multithreading performance. Fix an issue related to the main GUI. Update the smart table rules to support NVIDIA Web Drivers and AMD Radeon RX 4xx graphics cards (AMD9500Controller.kext and AMDRadeonX4100.kext). Update the internal FWRepairPermissions APIs to use the ULTRAFAST mode to repair file permissions. Improve multithreading performances and memory management. All APIs have adopted Swift 3. This is an internal beta release and probably the last beta of 6.1. 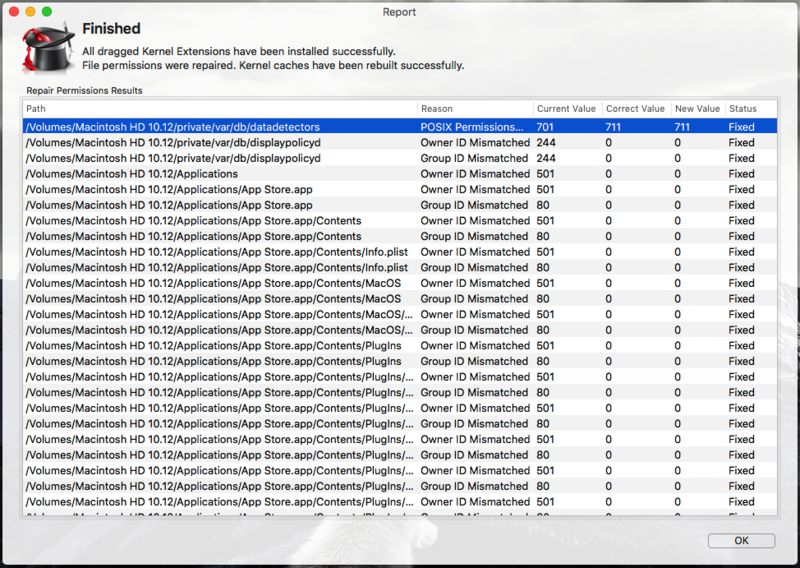 Synchronize the internal FWRepairPermissions APIs with RepairPermissions 3.5.2025 to boost up to 20X. 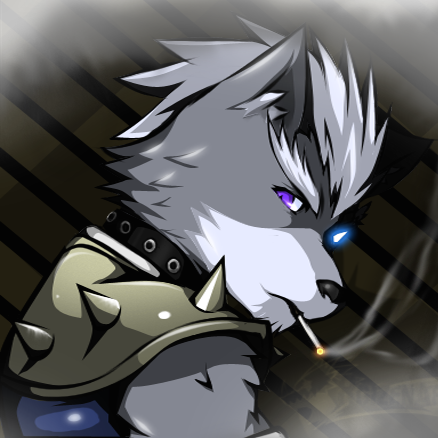 Register “.kext” to support Click2Install mode. Support Smart Installation, Custom Installation modes. Improved user experience, performance, and error handling mechanism. Disable user interaction when a task is being performed by KCPM Utility Pro. 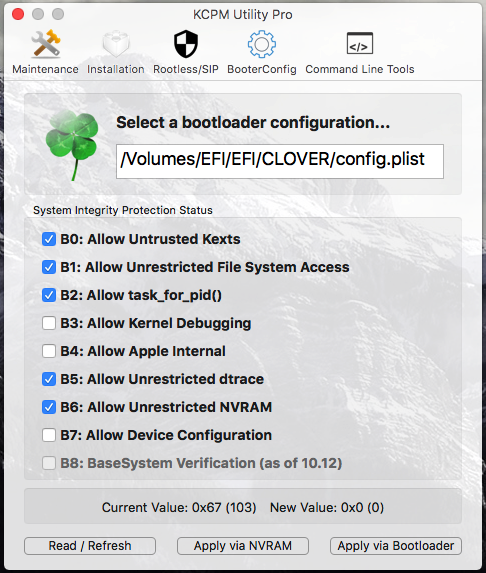 Configuring rootless settings is no longer supported by KCPM Utility Pro due to Apple’s security policy, but it will be available in KCPM Utility PE 6. Update logs for legacy versions are available in here. V5 users cannot use the auto-update feature to upgrade to the latest version. Please manually download the V6 package, run the KCPMP5Remover and use the new version. Sep 20 09:20:35 thxdeiMac science.firewolf.kcpmp.helper: connection from pid 1118: Warning: Exception caught during decoding of received message, dropping incoming message. KCPM Utility Pro cannot connect to the helper. Couldn’t communicate with a helper application. Please read the FAQ section. Anyone have a clue what the credentials are for running Carbon Copy Cloner? It’s looking for admin credentials. Help, only download 1.6M then stop. I get the “KCPM Utility Pro cannot connect to the helper” issue when attempting to repair permissions. Hi! Your version is out of date. Please do the following steps and see whether the crash still happens. 1. Follow the FAQ Q4 section to remove the old helpers. 2. Download the latest version and follow the prompt to install the helpers. Hi FireWolf, thanks for your great work on KCPM Utility. On Sierra 10.12.6 I cannot check for updates anymore, I get an error. Does this work on mojave ? Unfortunately, not yet. I have no time for this project at the moment. It seems to work on the release mojave fine. It’s a nice utility to have. Hope you look at at again when you have time.